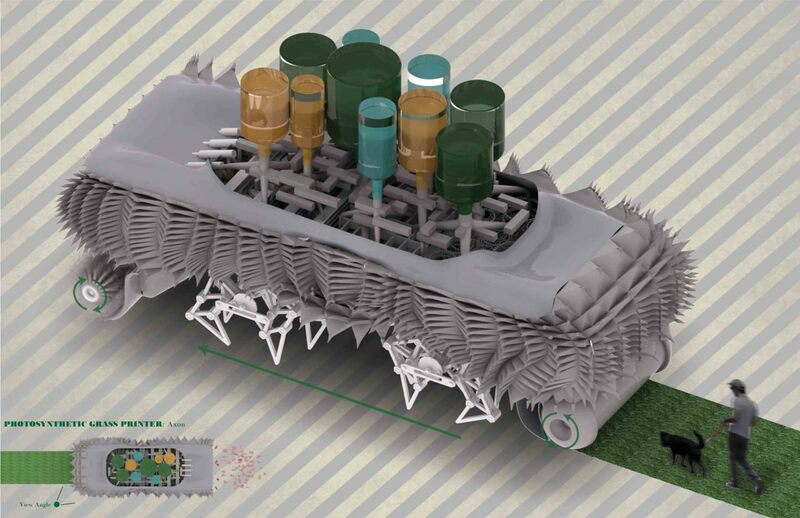 The photosynthetic grass printer is a machine which is fully integrated into the eco-system of the urban condition. 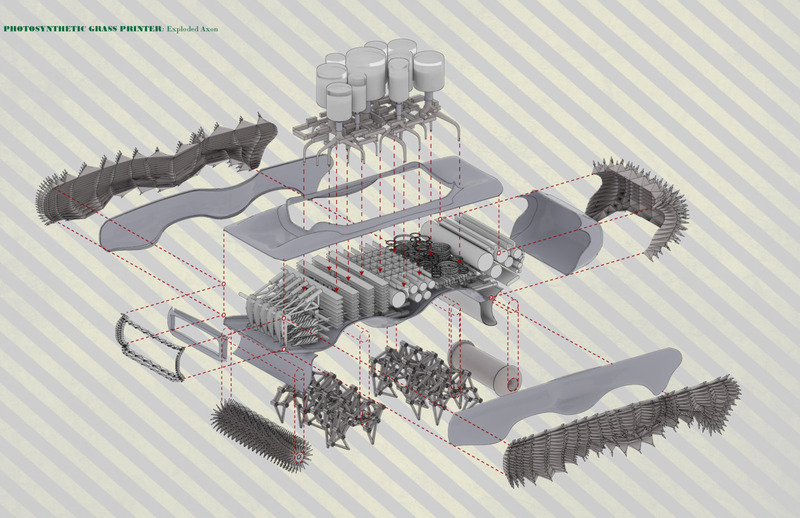 This machine thrives in the not-so-distant future where the world has reached a critical level of density; human byproducts and urban infrastructure have choked off organic life. Processes that once occurred naturally have to be engineered in order for the human species to continue its existence. 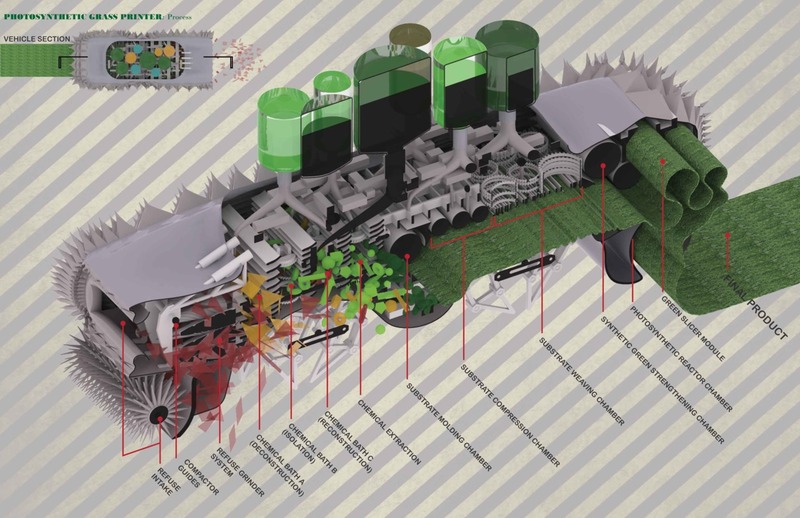 The grass printer acts as an autonomous chemical factory that moves throughout the city to collect refuse and environmental pollutants as raw materials. These materials are processed through a series of chemical reactions, in-order to create a photosynthetic grass. The grass pumps a new life into the city providing oxygen and public space.